This fragment of a letter, in Michelangelo’s own hand, was probably recovered from a book binding and is thought to have been addressed to Pietro Urbano, the artist’s long-time servant and assistant. 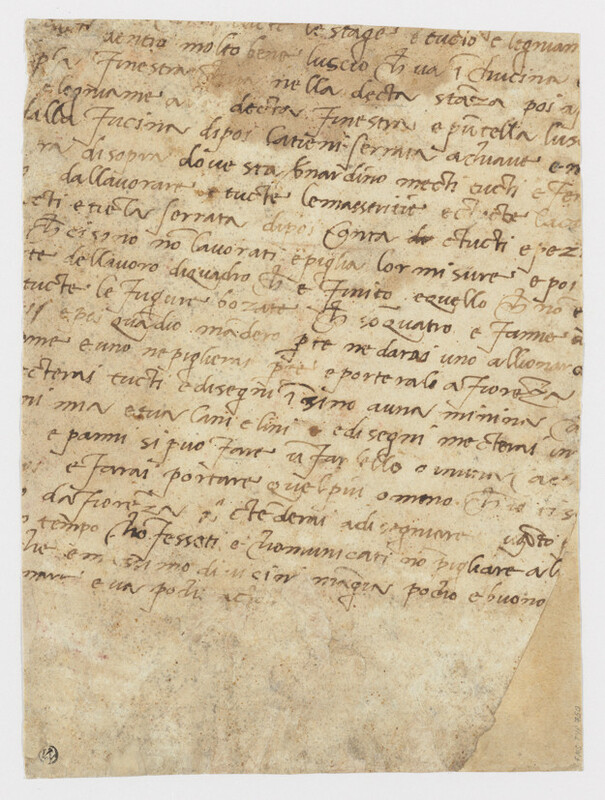 The letter appears to be concerned with management of Michelangelo’s property in and around Florence, and includes his directions regarding payment, and the transportation of something to or from Florence. As a student of Michelangelo’s work, to happen across a letter he composed and see his words, rather than brush or chisel-stroke, was an unexpected and amazing moment for me. 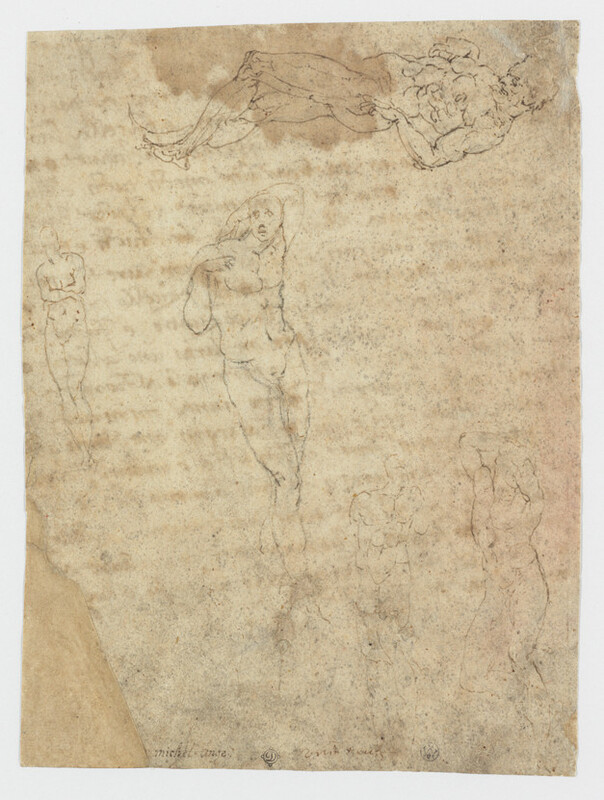 On the verso of this document (reproduced here on the right) are drawings of figures by an unknown artist that evoke the statues of slaves sculpted by Michelangelo for the tomb of Pope Julius II.